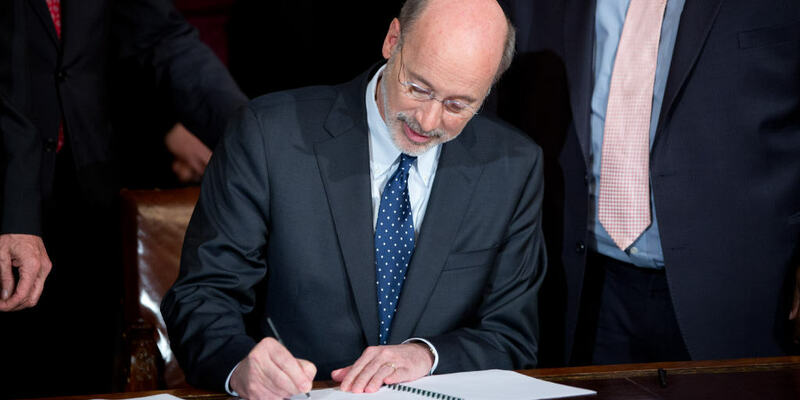 Governor Tom Wolf today continued his work to restore trust in Pennsylvania’s government by signing into law important updates to the Public Employee Pension Forfeiture Act that will help stop public employees convicted of job-related felonies from receiving a public pension. 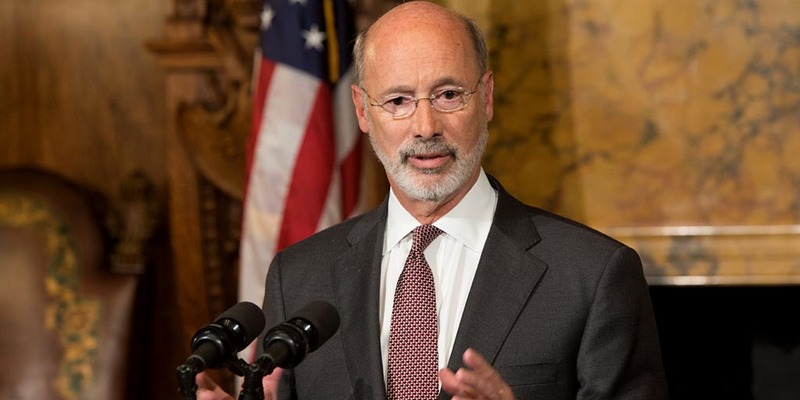 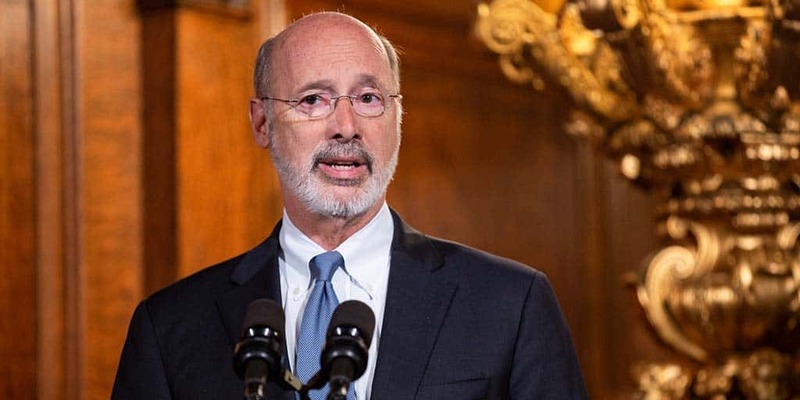 Governor Wolf urged the General Assembly to send him House Bill 939, which would hold state, county or municipal government officials and public employees accountable for crimes related to their official duties. 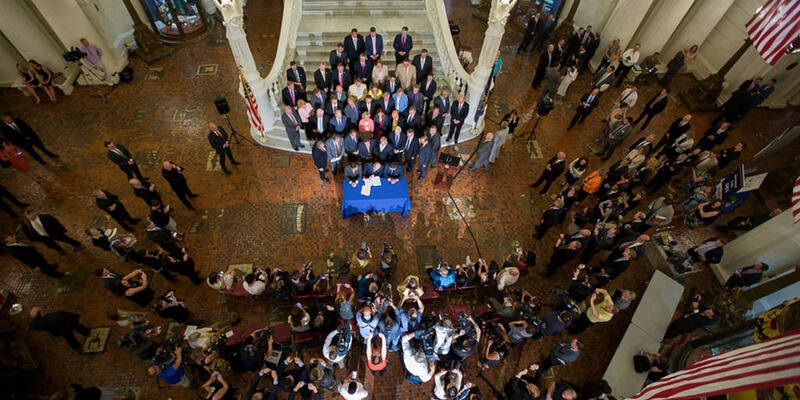 With a full house at the Capitol Rotunda as a backdrop, Governor Tom Wolf joined bipartisan leaders and members of the General Assembly to sign Senate Bill 1, the pension reform compromise bill. 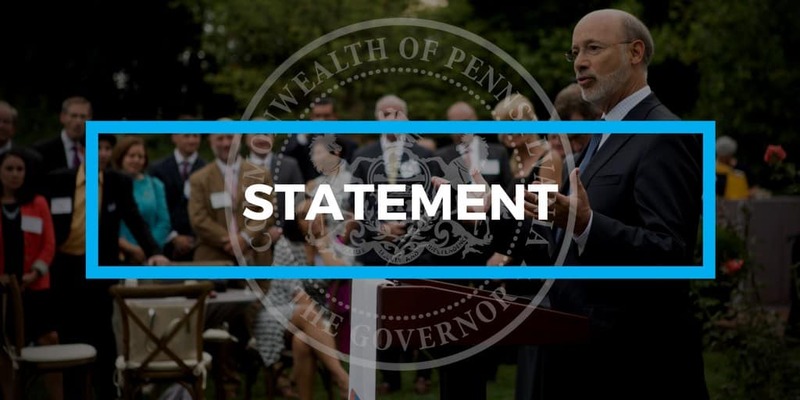 Governor Wolf released the following statement on the bipartisan support and final passage of Senate Bill 1, the pension reform compromise bill, which now heads to his desk for his signature.